Family cars have been changed over the years by Dodge, and the 2016 Dodge Durango is nothing to sneeze at. The 2016 Dodge Durango is a spacious family car that offers the easy handling of a crossover, but is equipped with features and abilities that are unmatched by the most equipped crossover. It’s an SUV with attitude and an engine that puts it ahead of its competitors. 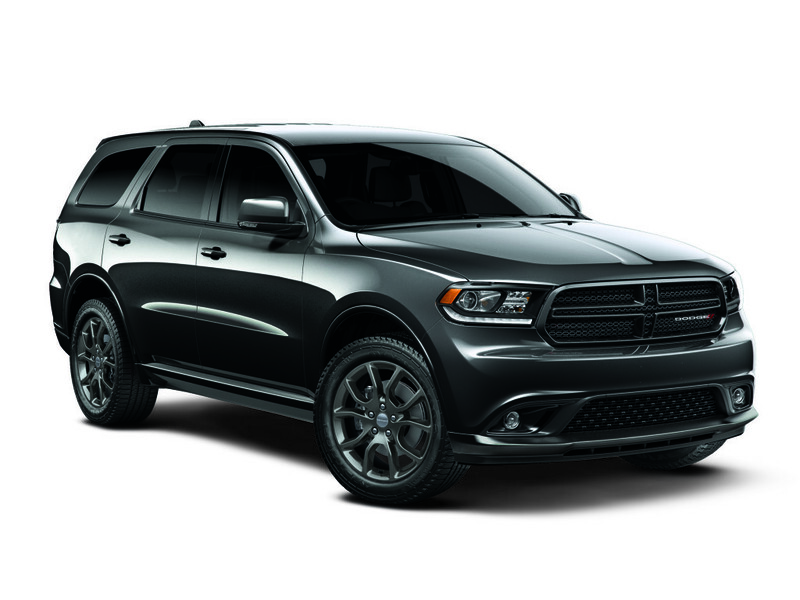 The 2016 Dodge Durango comes in five trims, which leaves the Limited series as a sweet spot in the middle. Purring under the hood of the 2016 Dodge Durango is a 3.6-liter V6 24-valve VVT engine that is able to generate up to 295-horsepower and 260lb-ft of torque. The standard transmission is an 8-speed automatic and the engine and transmission configurations give this SUV a fairly generous fuel economy. Drivers can get up to 19 MPG in the city and 27 MPG on the highway. The Durango Limited treats friends and family like royalty. The Durango is able to seat up to seven passengers, with heated seating included in both the front and second-row seats. The seats are also leather trimmed bucket seats, rounded to fit one person comfortably, and the second row has a fold-and-tumble seat that offers additional storage options. An 8.4” touchscreen display comes standard in the Durango Limited as well as a 6-speaker audio system with Uconnect 8.4 and Uconnect Access. 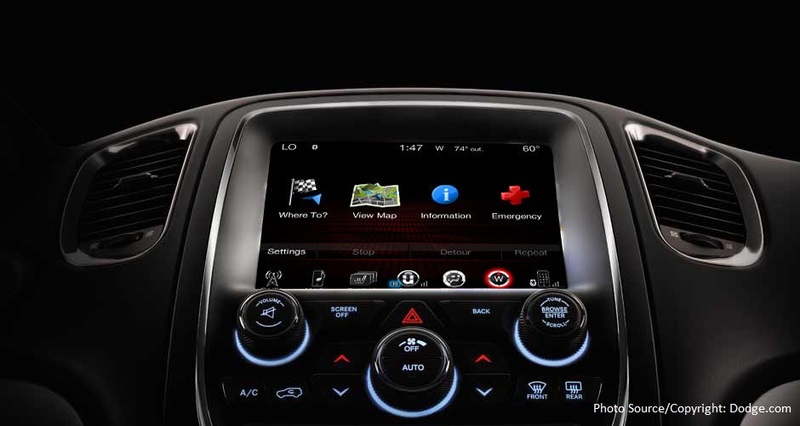 If on a road trip, the navigation display can identify points of interest (activated by request at dealership). There are many optional packages to stylize the 2016 Dodge Durango according to the driver’s taste. Some of the more modern technology also shows up on the exterior, with automatic headlamps, LED daytime running headlamps, and LED tail lamps. The exterior mirrors come with a heating element to keep from fogging, and their positions are embedded in the computer’s memory per driver (responsive to key). This vehicle rides on 18-inch wheels wrapped with all-season tires. A compact spare wheel comes standard. 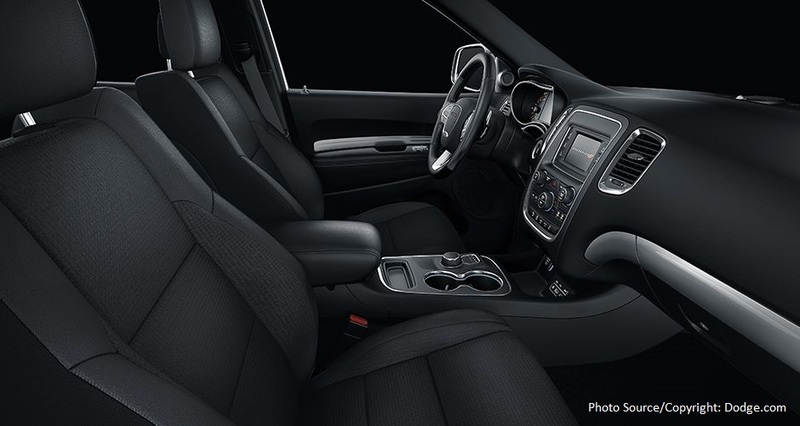 The 2016 Dodge Durango Limited comes with many of the safety features one would want in today’s family car – active head restraints, advanced multistage front airbags, and supplemental front seat and side-curtain airbags in every row. There are also many convenient safety features, such as the LATCH system to tether car seats in place, ParkSense rear parking assist with back-up camera, the Sentry Key theft deterrent system, and remote keyless entry and keyless Go. Blind spot detection is an add-on option. The MSRP for the Durango Limited starts at $36,995 before option groups and add-ons. The vehicle is backed by a 3-year or 36,000-mile basic warranty and comes with unlimited roadside assistance for 5 years or 100,000 miles. Where can you get a 2016 Dodge Durango Limited? The Aventura Chrysler Jeep Dodge Ram dealership is located in North Miami, and always has new cars in stock. We also have a selection of used cars and trade-ins. You can check out our online inventory, or stop by today to find out what we can do for you.